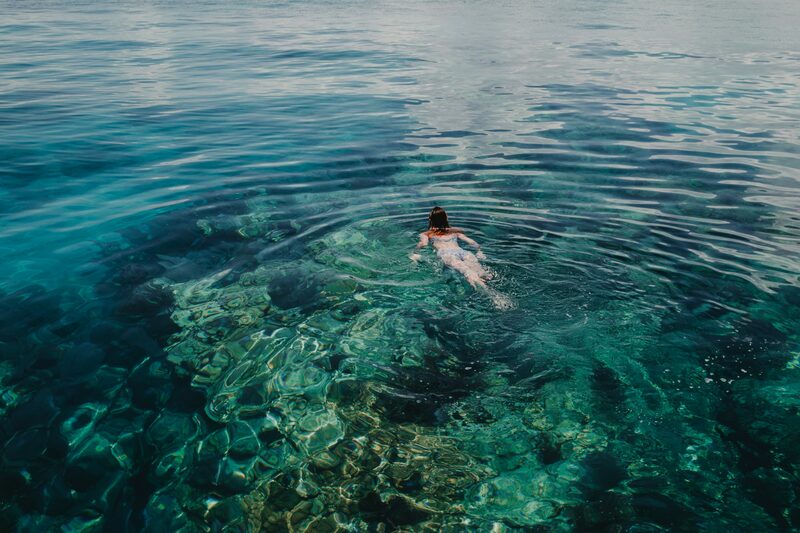 The first time I noticed, I was snorkeling at Looe Key, a protected section of the barrier reef just off the coast of the Florida Keys that my family visits every summer. It floated up from behind a coral head, through a school of fish, and bobbed delicately to the surface of the water: A plastic straw. I watched it gently moving like some translucent, eyeless fish, but there’s no entry for “straw” sandwiched between “Blacktip Reef Shark” and “Surgeonfish” in the saltwater field guide. Plastic has no place in a place like Looe. When healthy, reefs like Looe contain some of the most diverse ecosystems in the world, supporting fish population production, aiding in carbon storage, and preventing millions in damage by protecting coastlines from storms. From a purely economic standpoint, $36 million tourist dollars are generated by reefs every year, according to the Journal of Marine Policy. Coral looks like rock, but its incredibly fragile and susceptible to everything from human-borne disease to storm runoff. Reefs reflect the health of our planet in some of the most immediate and visual ways. A few years ago, a video of scientists removing a straw from the nostril of an Olive Ridley sea turtle went viral and spurred a massive mobilization against straws. The video was graphic proof of what can happen when a straw ends up in the ocean. 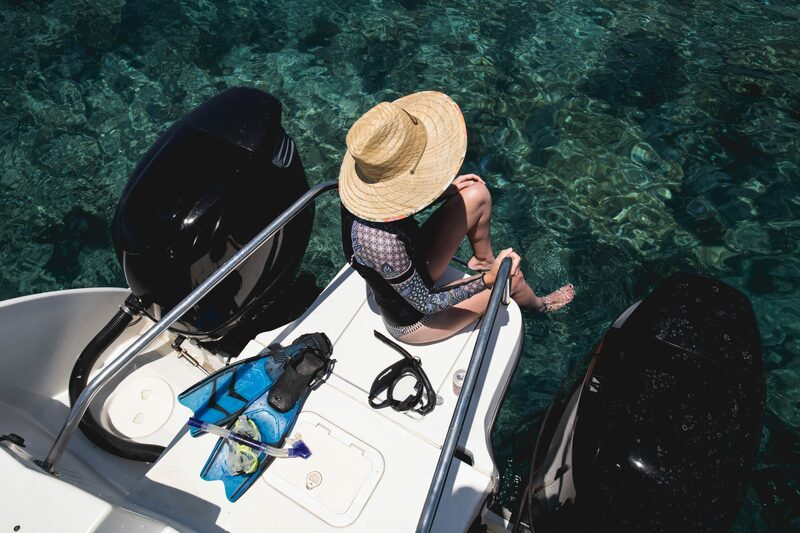 “Straws are so lightweight and easy to lose, especially here, where a lot of our bars are outside,” says Mill McCleary, the program director of Key West’s Reef Relief, a non-profit that improves and protects the coral reef ecosystems. Despite the uproar over the turtle, Americans still use more than 500 million straws every year, which is a staggering number considering straws are mostly unnecessary (though some people in the disabled community do rely on them). They are a thin plastic that can’t be recycled easily, yet the material quickly breaks down into smaller particles (or microplastics), which are lethal when consumed by endangered corals — the tiny pieces of plastic fill their digestive systems and deprive the coral of nutrients. 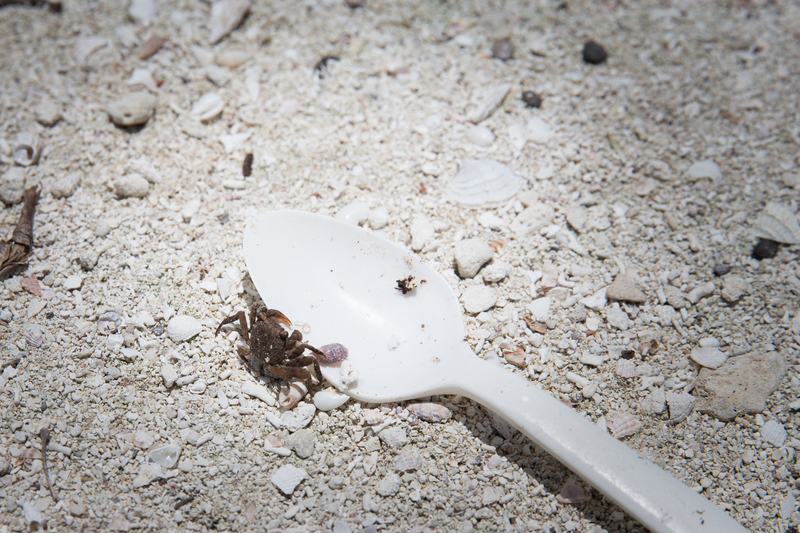 Straws are one of the top three types of plastic debris collected at local beach clean ups in the Keys, according to Mill. We met with Mill and his team at their environmental center in downtown Key West on a sweltering afternoon, piled into a tiny loft office. In the room below, a group of kids are engaged in a rowdy game of Ocean Jeopardy. (“Sorry I don’t have a lot of time, we’re in the middle of Coral Camp.”) Splayed on his desk are a stack of yellow placards that read: “Reef Relief Encourages You to Skip the Straw!” It’s the same poster we’d seen hanging all over establishments in downtown Key West. According to Mill, many policy makers in Southern Florida are hesitant to acknowledge the effects of climate change or pollution, let alone try to create ordinances banning plastic products. (Ironic, as the effects of both seem to be more visceral in Florida than in most other states — in Miami Beach, there’s already a five-year, $300 million project underway to install 60 pumps around the city just to manage sea-level-rise related flooding). So Reef Relief decided to work from bottom up, creating a groundswell of influence among local businesses and patrons that would make banning straws an easy win for politicians. Many businesses around the Florida Keys have signed Reef Relief’s Straw-Less Florida Keys pledge, only providing customers with plastic straws upon request, which in turn makes customers more cognizant to whether or not they really need a straw. Bars and restaurants display the yellow signs — which are paid for by the local aquarium — to educate customers. It saves the businesses money, and cuts down on the amount of straws in the water (polypropylene products like bottle tops, diapers, tarps and drinking straws make up 19% of global plastic waste). There was an article I read a few weeks ago that denounced campaigns against plastic straws, saying they distract from larger issues surrounding plastic pollution. I thought that seemed incredibly counterproductive, so I bring it up to Mill and and his team. They’re in my camp: Shaming people into stopping their plastic consumption doesn’t seem to work. What does is offering solutions that are easy for both businesses and consumers to understand and implement. Creating a culture shift takes time, and it happens both from the top down AND the bottom up. More importantly, it starts with daily mindfulness on a small scale. The best way to clean up single-use plastic straws? Stop using them. • Seattle has become the first major U.S. city to ban plastic straws, encouraging companies to come up with alternatives. Starbucks, Alaska Airlines, Disneyland and other major corporations have also enacted straw bans. • To cut back on your own usage, invest in a straw alternative. I prefer metal straws — they are easy to clean and don’t hold odd smells. I love these Klean Kanteen Steel Straws for $10. • Take Lonely Whale’s #StopSucking pledge, download tool kits for your own anti-straw campaigns, or just start raising awareness on your social media. • Commit to one month of no straws and see how it goes. It’s part of Plastic Free July, which you can learn more about here. • Businesses and consumers must work together to make straw bans more inclusive to the disabled community. 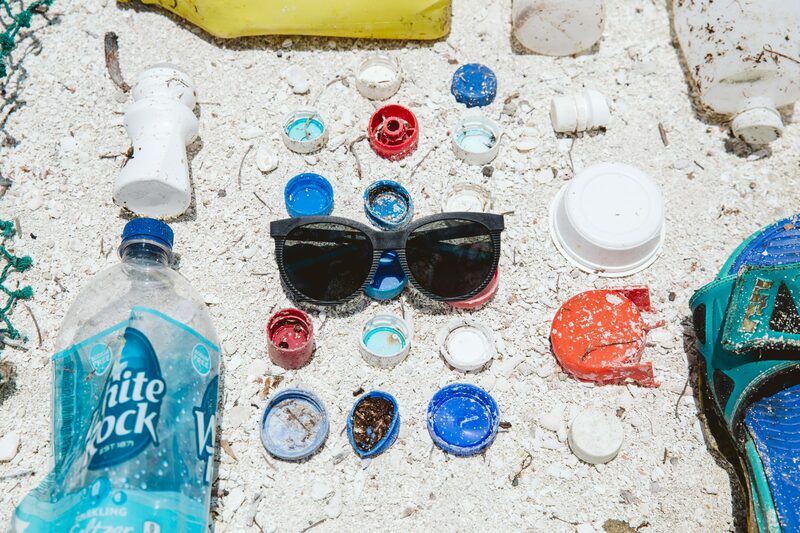 This edition was supported by Costa Sunglasses, who collaborated with Bureo to turn discarded fishing nets into sunglass frames for the Untangled Collection. Discarded fishing nets and gear make up ten percent of ocean plastic pollution. Bureo created the Net+Positive recycling program, which gives fishermen financial incentives to collect discarded nets. Those nets are washed, shredded, and turned into pellets, which can be injected into steel molds to create everything from skateboards to the sunglasses I’m wearing in this story. It’s one example of hundreds of creative, progressive steps being taken to eradicate plastic pollution. 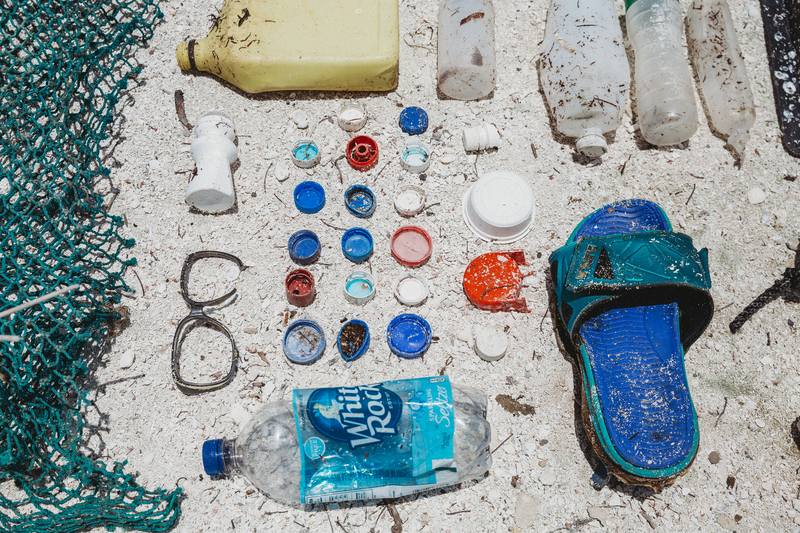 This blog post is part of a multi-part series aimed at exploring waterways around the world to observe and learn about the effects of plastic pollution through the lens of outdoor recreation. From remote Arctic rivers to crowded coastal hubs, we’re shining the light on non-profits and individuals working to mitigate the effects of plastic waste, and learning how their grassroots, community-based efforts impact the problem on a global scale. How is the world tackling plastic pollution, from the top down and from the bottom up?